Rama Properties is listed as a preeminent Building Construction Service provider in Faridabad. We have undertaken various construction projects for all kinds of buildings and successfully completed them at the pre-determined timeframe. 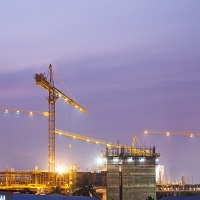 We provide Building Construction in Delhi/NCR for residential, commercial and industrial spaces. Apart from this, we also undertake Shed construction in Delhi/NCR. Today, we are listed as a celebrated real estate construction service provider in Faridabad. We have a team of experts who have successfully accomplished various projects owing to their vast experience and in-depth knowledge in this field. The experts conduct a systematic analysis of the construction site beforehand and further the layout of the building is approved by the client. Moreover, our team makes sure that optimum quality construction material is used and its apt utilization is done. And we keep into consideration the budget of the client and offer most cost -effective construction solutions.